The JS Kaga in 2017. Via Wikimedia Commons. The arrival of Kaga and its escorts happens less than a month since a Philippine Navy (PN) contingent sailed alongside Indian and Japanese warships to reach Hawaii for RIMPAC 2018. This latest goodwill visit also coincides with the PN’s role in Australia’s KAKADU 2018 naval exercises. For Japan’s most powerful warships to be visiting the Philippines is further proof of an emerging military pact between Manila and Tokyo. Even President Duterte himself arrived in Subic to welcome the JMSDF flotilla on September 1, a Saturday. Though unapologetically pro-China, the Duterte administration has benefited from earlier agreements with Japan for material aid. Earlier this year five Beechcraft TC-90 maritime patrol planes were gifted to the PN for improving its intelligence, surveillance, and reconnaissance (ISR) capabilities and more aircraft were promised by the JMSDF in the future. Other branches of the Philippine military are enjoying Japan’s patronage as well. Officers of Japan’s SDF have been visiting the Philippine Air Force (PAF) with growing frequency since 2015. Both countries might not have their own bilateral exercises but there are now more exchanges between Japanese and Filipino officers compared to some regional allies. As for the US military, the alliance between Manila and Washington, DC remains very much intact and is still growing. Indeed, ever since the last APEC Summit in 2017 when the term “Indo-Pacific” became mainstream, the Philippines has slowly drifted toward the Quad Alliance involving Australia, India, Japan, and the US. China, by comparison, doesn’t seem to be lavishing as much on its would-be ally. Its most significant “strategic” gift to the Philippines this year were four small patrol boats and 30 Type 69 rocket launchers. Of course, the non-military incentives offered by Beijing are a lot more valuable and worth billions of dollars. So far these are all pledges to help the Duterte administration’s immense “Build, Build, Build” infrastructure push. To date, the signed agreements span two bridges in Metro Manila, a hydroelectric dam, an irrigation system, and a railway in Southern Luzon. The presence of a Japanese “helicopter carrier” in Subic marked the latest visit by a foreign navy’s capital ship. In October 2017 the HMAS Adelaide, an amphibious assault ship that can transport almost a thousand marines, helped train PN sailors in specific littoral missions. Not to be outdone, US Navy supercarriers have dropped anchor in Philippine waters at least thrice this year. 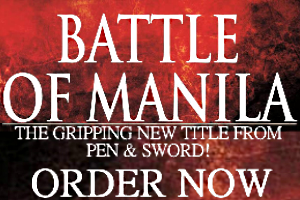 The JMSDF now appear just as serious with their attempts to secure Manila’s loyalty. The JS Kaga is unique for its modest proportions and ambiguous role. Equipped with a mere handful of SH-60K helicopters, the Kaga is unsuited for actual combat operations unless it’s assigned VTOL fighters like the F-35B. But Japan isn’t a customer of this model. 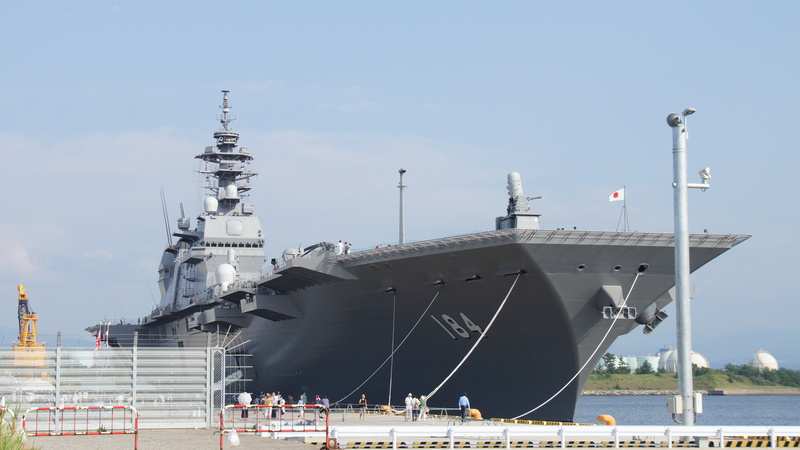 The JS Kaga is one of two vessels in the Izumo-class “helicopter carriers” that are believed to be convertible once the JMSDF are given a fresh mandate for expeditionary missions. If Japan begins producing its homegrown fifth-generation stealth fighters soon their deployment as naval assets must be anticipated–each Izumo class carrier has the dimensions and internal volume for a squadron of fixed wing aircraft. Lo and behold, the Izumos are actually aircraft carriers in disguise!